Be remembered by your new & existing customers. Deboss & infill - please add £20.00 per order. Mixed packs - please add £14.99 per order. New MINI-LOOPS also available now! Great for advertising & give-aways at shows & events. Pre-production jpeg of your design. 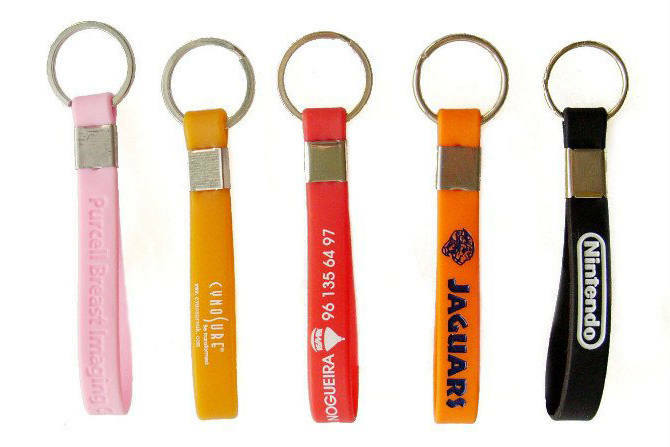 Our silicone keyrings are approximately 120mm (long) x 12mm (width) x 2mm (thick) & use top quality 100% silicone & the best hard wearing inks. Select the ink & silicone colours from our chart or tell us the Pantone references you'd like to use. Rainbow segmented keyrings available too.